The Lushington House Investment Company Ltd.
Born in about 1774 and baptised on 10th June 1775 in Bottisham, for some years the Right Honourable Stephen Rumbold Lushington, Esq. lived here, clearly endowing his surname on the house. The Cambridge Independent Press on the 18th May 1861 advertised an auction of 'An assemblage of very useful household furniture and miscellaneous effects of the Right Honourable S R Lushington' to be held at Lushington House on 23rd May ... the house was subsequently let unfurnished to Dr. William Day. From the medical records William Day had moved to Lushington House from his previous practice in nearby Cardigan House - No.113 High Street by 1862, staying there until about the end of 1866. His subsequent appointment in London was announced in the Lancet in January 1867, though the exact transfer dates are a little unclear and there may have been a few months introductory period in late 1866, early 1867, when Dr. Day overlapped with his successor in the practice; Dr. Frederick Clement Gray. Frederick Clement Gray was born in 1812 Alton, Hampshire, he married Sophia Brown in 1843. In 1851 he was a surgeon in Minster, Sheppey, in 1861 a G.P. in Melbourn near Royston and he then made his final move to Newmarket in 1866 / 1867 as detailed above. After 9 years of leasing the house, Frederick bought Lushington House in 1875 from James Lushington Wildman-Lushington (yes that was his full name - he was the grandson of S R Lushington - his Mother being Stephen's daughter Mary Anne Lushington and his Father James Beckford Wildman), and his eldest son Francis James Wildman-Lushington. 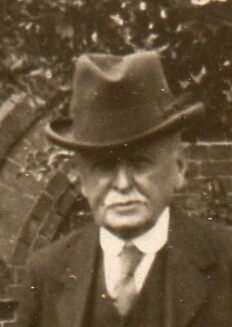 Though only 49 at the time of purchase James Lushington Wildman-Lushington died 3 years later on 1st February 1878 at the family home of Norton Court near Teynham in Kent. Frederick built up quite a reputation in the town and when he died on 17th May 1888 his obituary stated '... he came to Newmarket to practice about 22 years ago and soon earned a reputation for skill in his profession'. Bury and Norwich Post 23/10/1866 - Dr Gray joins the Newmarket Farmer's club. March 1867 - Dr Gray offers his services free to the Newmarket Local Board of Heath (a public health body dealing with sanitation etc.) - offer turned down as they were paying Dr Fyson to do this. Bury and Norwich Post 14/09/1867 - Dr Gray of Newmarket attended a shooting accident in Stetchworth. Bury and Norwich Post 15/09/1868 - Dr Gray campaigning to get a Cottage Hospital set up in Newmarket. Bury and Norwich Post 03/03/1874 - Dr Gray still campaigning to get a Cottage Hospital set up in Newmarket. Frederick's son Clement Frederick Gray was born in 1846 in Dalston, London and he's shown on the 1871 census following in his father's footsteps as a General Medical Practitioner in Newmarket. 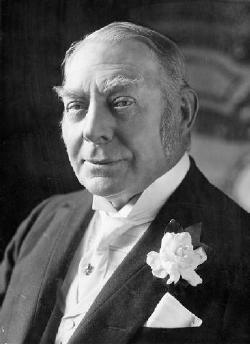 He married Eleanor Rowley and had two sons - Gilbert Clement Gray and Norman Gray, both following their father and grandfather in the medical profession. Clement retired in 1925 when the practice moved next door to Alton House - No. 117 High Street (the first purpose built GP surgery in the country). He died at the age of 96 in Lushington House on 16th January 1943. Further details about him and his family can be found in his obituary shown in the Photos section below. The practice eventually evolved into the present-day Rookery Medical Centre, moving there in 1974. 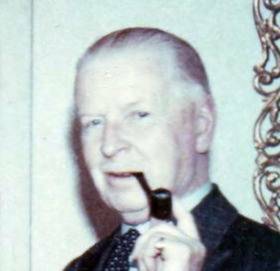 Gilbert Clement Gray was born on 12th June 1885 in Newmarket. In WWI he and his brother Norman were in the Royal Army Medical Corps. Gilbert died in June 1972 in Newbury, Berkshire. Norman Gray was born in 1889 in Newmarket. He married Catherine Mary Ogden on 23rd February 1915 in Eastbourne. She sadly died two years later in 1917 and he remarried in 1924 to Bridget O'Farrell in Chelsea. He died in 1971 in Sulawesi Tengah, Indonesia. Norman Gray, M.B., B.Ch. Cantab. 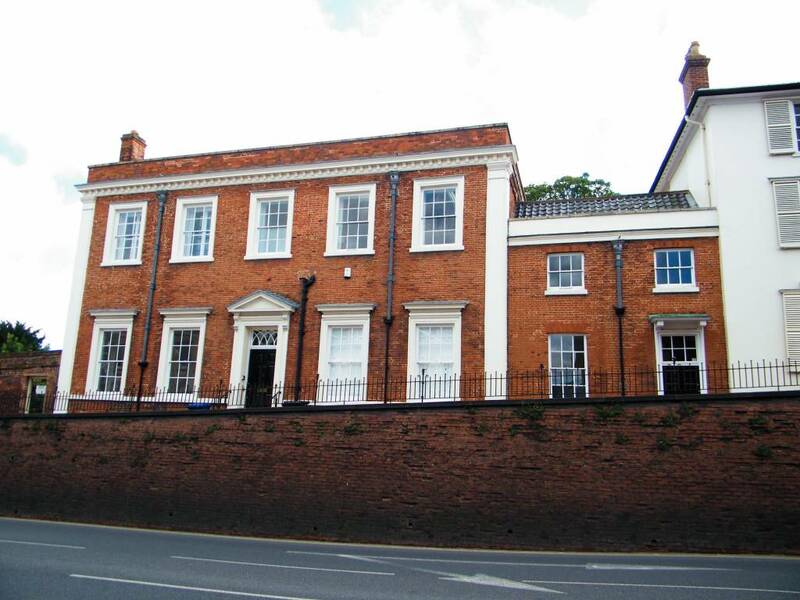 According to members of the present-day Gray family they believe they bought next-door Clifton House - No.121 High Street from Lord Lonsdale, not sure when, and although they think the 5th Lord Lonsdale, they are not sure. Lord, 5th Earl of Lonsdale Hugh Lowther (1857 - 1944) lived in Clifton House - No.121 High Street and from Newmarket UDC records he also owned next-door Rupert House - No.123 High Street in 1923. Hugh had a penchant for the colour yellow and was known as the 'Yellow Earl'. He was a founder and first president of the Automobile Association (AA), which adopted his livery. 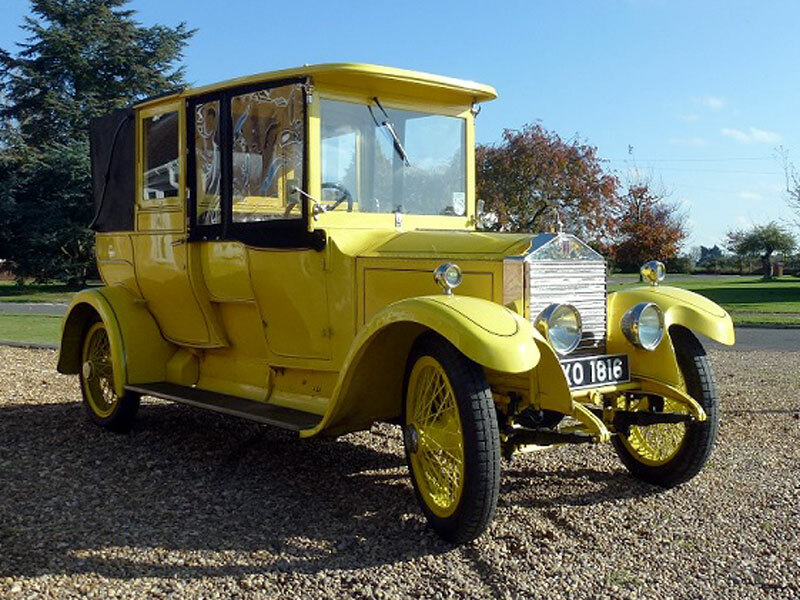 His obsession with yellow also meant that he had a yellow Rolls-Royce, which he called 'Victoria'. The former family home; old Lowther Hall, was near Clifton, Westmorland - presumably the origin of the name Clifton House. Both Lowther Street, built in 1897, and Lowther House - No.146-148 High Street were also named after this family. Lowther House was built by Viscount Lowther - William Lowther, 2nd Earl of Lonsdale. As detailed in the deeds for the White Lion - No.216 High Street, he acquired the land on which it was built on 16th January 1812. Hugh's elder brother; St George Henry Lowther (1855 – 1882), owned 'Pilgrimage', the horse which won both the One Thousand and Two Thousand Guineas in 1878. He died through illness at the early age of 26 in 1882. Hugh, his father Henry and James Lowther (Hugh's third cousin once removed) were all members of the Jockey Club. In 1882 Hugh Lowther succeeded as Earl of Lonsdale and to the Lowther estates, of which James was senior trustee. Hugh's habits were extravagant though, and James had great difficulty in restraining his cousin's spending and he reportedly managed to run through the whole fortune before his death in 1944. On Wednesday 22nd July 1885, while Hugh was courting Lillie Langtry, the mistress of the Prince of Wales, he aroused the antagonism of Sir George Chetwynd, who was also courting her himself at the same time. While riding out with Lillie along Rotten Row in Hyde Park Hugh shouted out to Sir George "Don't meddle with my Lillie! ", Chetwynd then struck Hugh with his riding whip. Unsettling their horses, they dismounted, where they began fighting on the ground, rolling in the dust. Subsequent to this altercation Queen Victoria let it be known that "she expected Lord Lonsdale to leave the country" ... which he did for a short while, when he embarked on a trip through the Northwest Territories and Alaska ... but he later spoiled this creditable achievement by insisting that "he'd reached the North Pole" (which of course he hadn't). Partial demolition and repairs to walls. Internal refurbishment and external repairs to roofs and front entrance steps and provision of new external lighting to garden area.